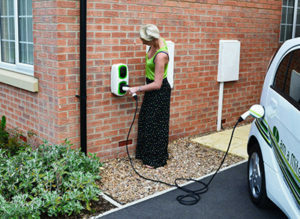 If you are a domestic homeowner or own a commercial business there are now government grants available to help offset the cost of purchasing and installing Electric Vehicle Charging Points. To assist and promote the wider use of green electric vehicles, the government is offering installation grants by the Office of Low Emission Vehicles. To be eligible for the Workplace Charging Scheme or the Electric Vehicle Home-charge Scheme, installers need to apply for authorisation via the Government portal. 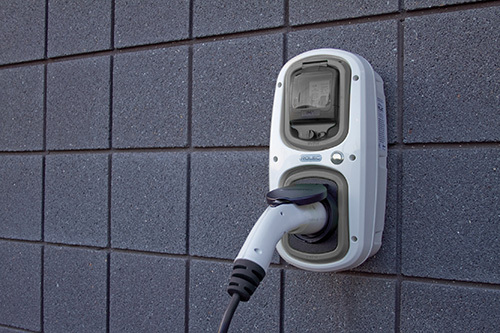 Johnstone’s Electrical Services are registered with OLEV to install ROLEC charging points. 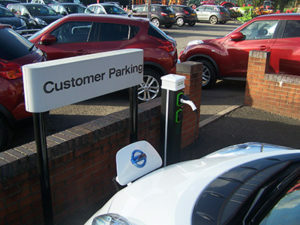 ROLEC are one of the Market Leaders in supply and installation Electric Vehicle Charging Points. You MUST own an electric vehicle or have access to one. Typically a 3.7kW unit will charge a modern electric vehicle in 6 hours and a 7.4kW in 3Hours. If your home meets the required electrical standards, once the OLEV grant has been applied, the standard supply and installation costs can often be as little as £150.00 – £200.00. With a growing number of electric cars now on the road, it’s becoming increasingly important for businesses to have a car charging facility installed. 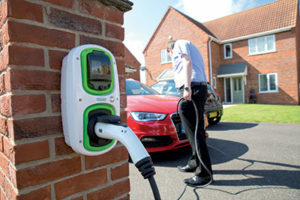 Installers of workplace charge points for electric vehicles are seeing a positive increase in the number of employers offering charging solutions for the employees, a move in the right direction that means the employee’s daily electric range can essentially be doubled when provided with the option to charge at one of the places they spend the most time. For further information, regarding Electric Vehicle Charging Points and the available grants pleased contact Ian, at Johnstone’s Electrical Services.